Lets get right into it and see what’s next. Screen scraping and dealing with an Automated browser like Puppeteer with NodeJs can be problematic and it is not efficient in this use case. It’s because Instagram is actively rendering each page that we go to and scraping it’s dynamic html content can be pretty difficult with a platform that constantly pushes changes to it’s website. not reliable because of constant changes in the structures of the html, therefor selectors needing to be constantly updated to make sure it works, therefor more maintenance required. Now that we excluded scraping these data with Puppeteer or any other automated browsers, we can talk about the proper method for doing this. What you can see in this image is exactly what Instagram has into it’s html content BEFORE rendering the actual page. So if you go to your IG Account and right click and View Source on that page, you can search and find in it this exact JSON object inside of a <script> tag. So, with this being said..
How are we going to make use of this data with our NodeJs scraper? Traverse through the JSON and get the needed details that you want. 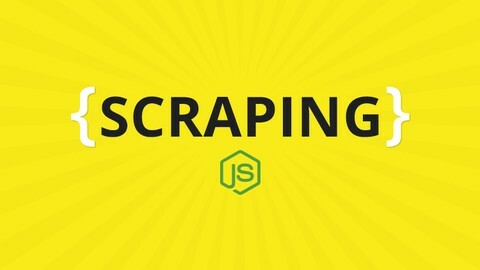 Also make sure that you’ve read my previous blog post on 4 Easy Steps to Web Scraping with NodeJs if you want to have a little bit of more information on how to start and what are we actually using. I’m just gonna put this right here so that you don’t have to scroll to the bottom to get the actual code that I’m talking about. And if you want some more details about this, continue scrolling..
Keep in mind, this may work now but instagram can always change it’s structure and break something, so use it with care. I’m running the code with VSCode, because as I’ve said in my other blog posts: I like it because it has the NodeJs debugger coming to it by default and it is on point. Now, after running the actual code from above you should get a big JSON variable named data that will hold everything related to that instagram user’s statistics, like: total followers, total followings, uploads, description, full name. Make sure to read my other blog post to see how I ran this and other interesting details with another example.